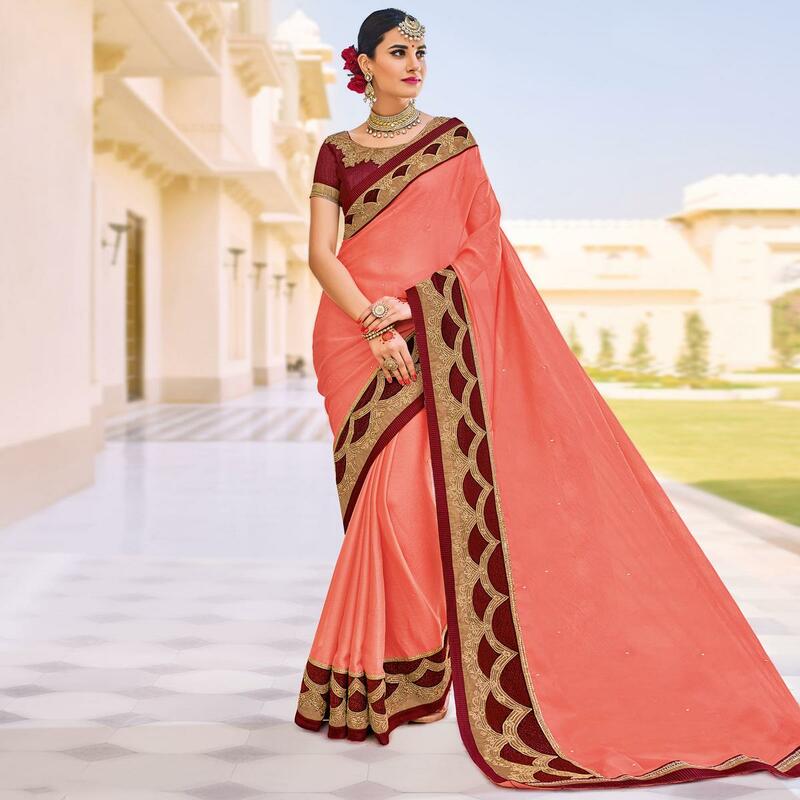 Fashion and trend could be at the peak of your beauty the moment you attire this peach designer saree. This saree look has been enhanced with its floral patch, zari embroidery, stone & unique lace border work, which gives the wearer an eye-catching look. Saree paired with an unstitched raw silk blouse. It's the best dress to wear at parties, functions & occasions.